Cut onion half, then slice it thin. First, Sake, then Mirin. Boil them. Boil them little, then add little sugar. Boil them until Onion get soft. You can add ginger or hot pepper if you like it. 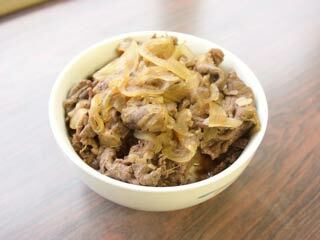 Please try easy cooking, Gyudon.